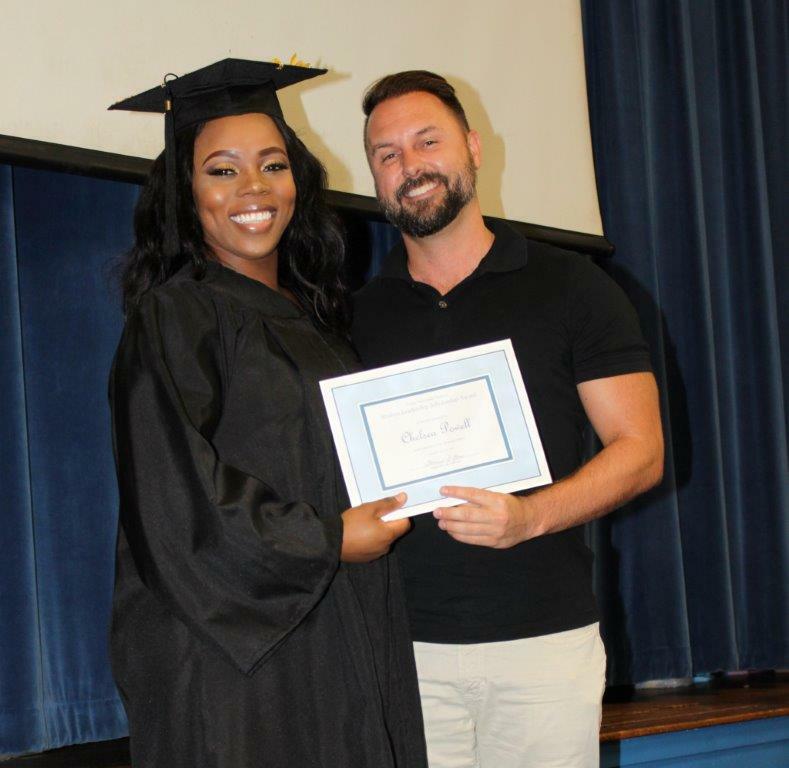 On Friday May 18, 2018 Chad Newberry, Founder of Newberry Homes and Chair of DBAAR Young Professionals Network (YPN), awarded Chelsea Powell at The Chile’s Academy’s graduation ceremony with the YPN Student Leadership scholarship of $1,000. This scholarship was designed to help ensure the high school graduate successfully completes her first year of college with support in paying for incidentals like books and transportation. This scholarship money was raised during the YPN’s ‘Summer Fundraiser”, which was a huge success considering this was the group’s first summer fundraiser. On May 11, 2018 DBAAR YPN hosted a Summer Fundraiser for The Chile’s Academy at The Grind in Ormond Beach to increase awareness for the charter school, to raise gently used clothes, toys and baby items and to raise $1,000 for a Leadership Scholarship to be awarded to an upcoming star graduate. Through the support of the local Real Estate community, YPN acquired over 500 baby items and toys, over 1,000 articles of clothing for babies, children and young women and they reached their $1,000 goal for the Chile’s scholarship. On May 23rd, YPN volunteers brought the gently used items to the school’s “Thrifty Chic Boutique” where these young mothers can “purchase” these items by exchanging their internal currency, “Mini Mics”, they earn for good grades and strong attendance. The Thrifty Chic Boutique originated from the “Microsociety” initiative to teach these young women the concepts of real world commerce. The mission of The Chiles Academy is to combine a community of support and guidance for pregnant and parenting students with the goal of attaining a high school diploma, which will empower them to become independent and responsible citizens. They are a public charter school located in Daytona Beach. Established in May 2017, the mission of Daytona’s Realtor YPN (officially known as Daytona Beach Area Association of Realtors Young Professionals Network) is to create the next generation of real estate leaders in the Daytona area. As founding Chair and Chair for 2018, Chad Newberry’s focus is on Professional Development, Networking and Community Giveback Initiatives so that members foster their leadership skills. Membership is free for Daytona Beach Area Realtors and is open to industry partners.